It happens every now and then in a brick and mortar store: you see a shopping cart wedged forlornly against a display, a few forgotten items in the basket, its owner long gone. In e-commerce, this phenomenon is the norm rather than the exception. If online stores were real instead of virtual, abandoned shopping carts, some of them loaded high with merchandise, would fill most of the aisles. Sites that track shopping cart abandonment statistics, like Baymard and Listrak, show that almost three quarters of e-commerce shopping carts are abandoned before or during checkout. To some extent, abandoned shopping carts are a natural part of the e-commerce ecosystem. Customers would feel rude walking away from a cashier at a checkout and leaving merchandise strewn about the store, but online shoppers use their virtual shopping carts to comparison shop and aggregate products they might want to purchase someday—just not right now. It’s unrealistic to aim for an abandonment rate of zero. E-commerce sellers shouldn’t give up on the problem, however. Converting even one-third of your shopping cart abandonments into sales could make a huge difference to your bottom line. If your abandonment rate is around the average at 75 percent, cutting that by a third would double your completed sale percentage from 25 percent to 50 percent. That’s double the sales and double the revenue for your business. 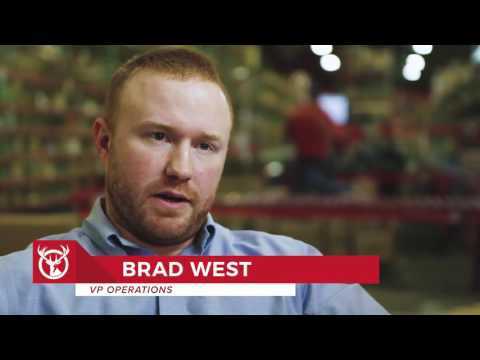 Here are some tips on how you can leverage your biggest asset in the fight for the checkout: your order fulfillment warehouse. The first step in reducing the number of abandoned shopping carts at your e-commerce site is to understand why your customers are dropping off. Reasons people cite for failing to complete online purchases include just browsing, not being ready to buy, website crashing, transaction pages were too long or complicated, and security concerns. These are all valid issues that you may be able to address, but none of these on its own will double your online sales. There is one factor that more than half of customers cite as the reason they abandoned their shopping carts: unexpected costs at checkout. And the main reason for unexpected costs is shipping. Your customers want the same thing every online shopper wants: free shipping. You may feel that free shipping will take too large a bite out of your margins, but there are some ways to offer free shipping without breaking the bank. Ask your 3PL provider about discounted shipping rates. As a quantity customer, your fulfillment center may be eligible for discounts and pass these on to you. Your 3PL provider may also be able to recommend an alternative freight company that offers better rates to the destinations where you ship the most orders. Maybe your customers rejoice at free shipping on orders of $100 or more. Perhaps your sales really surge if you include shipping once a customer orders at least three items. Test with different free shipping offers and find the sweet spot that leads to the greatest conversion with the lowest cost. Of course, free shipping isn’t free. Once you figure out your free shipping tipping point, add the extra cost to your prices. Your customers will pay a little more, but will have the advantage of knowing the true costs of your products before they add them to their shopping carts. You will gain their confidence because they won’t have any nasty surprises during checkout. Make sure your customers understand the terms of your free shipping offer by including a prominent free shipping banner on your site. Some e-commerce businesses just aren’t structured to offer free shipping. Maybe your products are heavy or bulky. Perhaps you ship a lot of products overseas. Transparency and good communication can keep shipping costs from sending your customers fleeing from their shopping carts. No one expects you to ship a mini fridge or a standing desk for free. Your customers in Burkina Faso and Turkmenistan know that they will have to pay for shipping from the U.S. Include a shipping cost calculator feature on your products pages, so shoppers can assess the full cost before they commit to a shopping cart. Include an explainer about the care and speed with which your fulfillment warehouse sends out your products, so your customers understand the value they get when they pay for shipping. Customers are less upset by the cost of shipping than by what they perceive as hidden costs sprung on them at the register. If you’re upfront about your shipping charges, customers will reward you for it. Another top motivation for shopping cart abandonment is delivery time. In our just-in-time world, online shoppers want to order a gift on December 22nd and get it before Christmas, wrapped and ready to put under the tree. Here, again, communication is key. Offer expedited delivery choices. Include a delivery time calculator on sales pages, so shoppers understand their delivery options before they get to the checkout. If there is a significant lag time, perhaps because each of your products is custom-made, tell your customers about this. Turn what could be a negative (takes two weeks to get to you) into a selling point (made custom, just for you). A good efulfillment center can reduce the lag time between when an order comes in and when it lands on your customer’s doorstep. At Red Stag, we understand the importance of this. That’s why we offer an ironclad guarantee that we will turn around your orders fast. You can choose three service levels: 3 p.m. cutoff, 5 p.m. cutoff, or next business day. 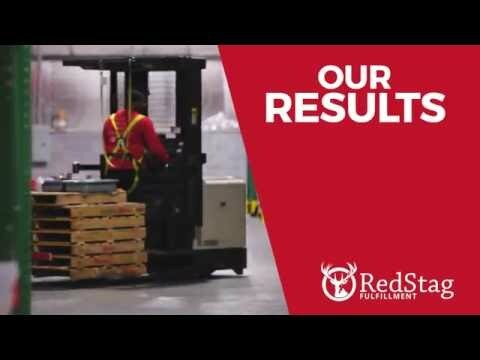 We believe that the number one job of an ecommerce fulfillment center is to get our clients’ inventory off the shelves and out the door. The thread that runs through all of these suggestions is this: communicate with your customers early and often. Include a calculator to show estimated shipping costs and delivery times on product pages. Avoiding unpleasant surprises at the checkout can improve your conversion rate. When you provide more order information on your product pages, you avoid the problem of people who load up a shopping cart and head for the checkout just so they can understand your shipping costs. A carefully crafted message explaining your shipping and delivery costs and timing could even turn a browser into a buyer. Online shopping is all about trust. A customer who clicks the Buy button knowing exactly what she will pay at checkout is a customer who understands and accepts your terms. Show her she can trust you all the way through to shipping and delivery, and you’ve earned her loyalty.